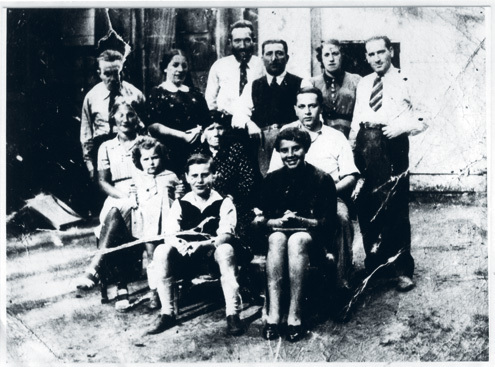 Before being deported to Ravensbrück, she worked with Masza Stern in the Lodz ghetto. What happened to her after coming to Sweden? Judith was born 1923 in Lodz, Poland, in a large Jewish family. 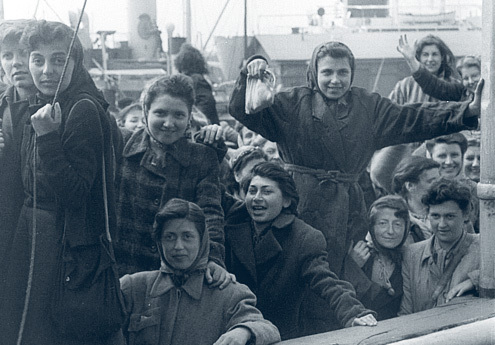 During the war she worked at a laundry in the Lodz Ghetto together with her future husband Abram and four other girls, who would follow her all the way to Malmö. After being trapped in Lodz ghetto between 1940-1944 Judith was deported to Auschwitz in August -44. She would never meet her family again. Eventually she was moved to the camps in Sachsenhausen and Ravensbrück. 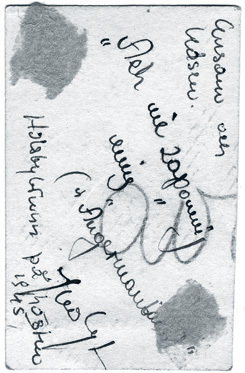 Judith was rescued by the Red Cross in April 1945, along with her four friends from Lodz ghetto; Masza Stern, Eda Karo, Mala Landsberg and Lolka Calel. Once in Sweden she was placed in quarantine in Lund. Discovering that she had paratyphoid bacteria in her body, she had to stay at the epidemic hospital in Nässjö. After a while Judith was re-united with Abram in Sweden and they lived in Borås. 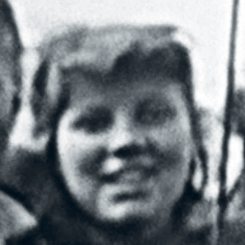 Abram moved to Gothenburg to study engineering, but Judith was not permitted to come with him as the authorities did not want a concentration of refugees in the larger cities. Later on they were re-united in Gothenburg. Judith and Abram got married and moved to Malmö in the 60s. They lived together in Sweden during 64 years. 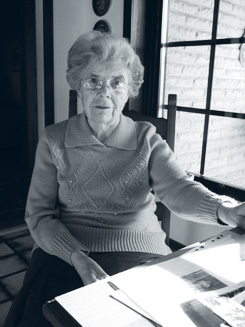 Judith Popinski passed away in Malmö 2018, 95 years old. If you would like to add information to Judith Popinski’s story we will be very happy to hear from you. Please write an email to our researcher Sebastian. If you can help us with further information about Judith Popinski we will be very happy to hear from you. Please write an email to our researcher Sebastian. 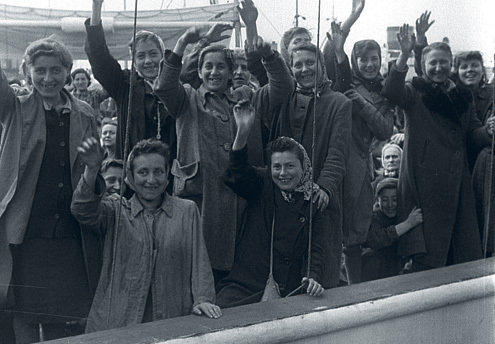 Judith Popinski arriving in Malmö harbour on April 28, 1945. Standing on the far right with friend Eda Karo by her side. Judith and her friends from Lodz on the ferry in Malmö. Judith on the far left, slightly covered. Masza Stern with the checked coat, resting her hand on Lolka Calel’s shoulder. And Mala Landsberg on their right, with a big smile. 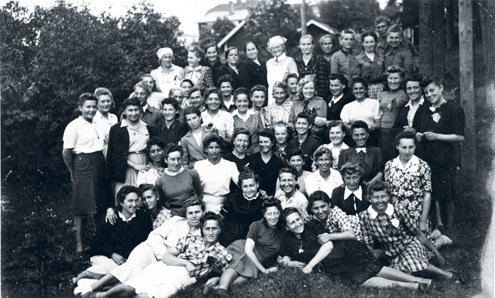 Picture from Anneberg refugee camp in southern Sweden, summer of 1945. Judith Popinski on the far right in the middle row. 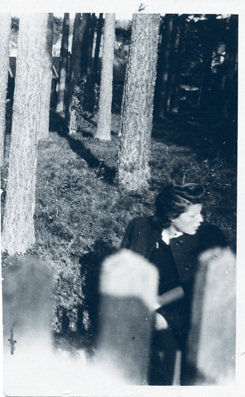 Judith in Holsbybrunn, southern Sweden, autumn of 1945. 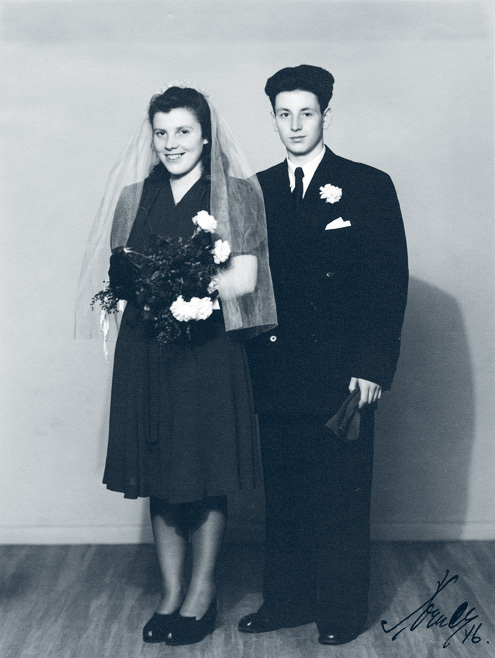 Judith married her boyfriend Abram from Lodz who also came to Sweden. Family photo before the war at their summerhouse outside Lodz, Poland. Judith in the front row. 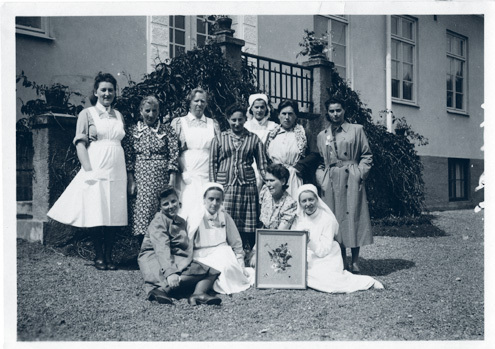 At the epidemical hospital in Nässjö being treated for an infection after the arrival in 1945. Judith on the left, sitting down. 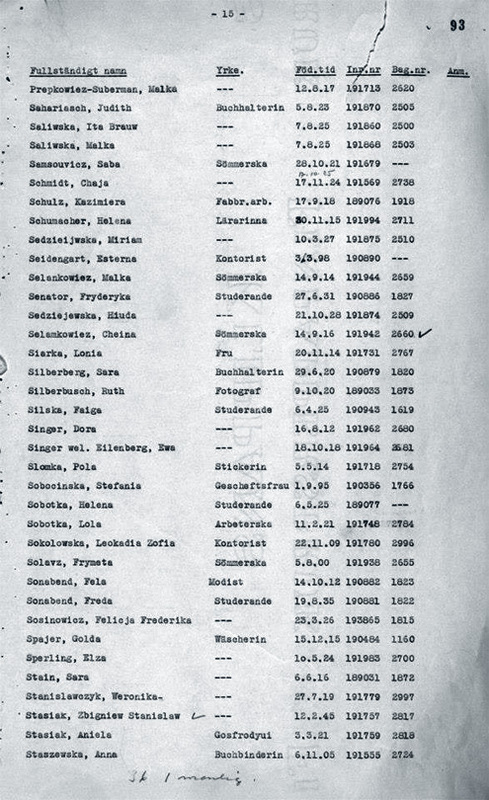 Judith in the passenger list from April 28, 1945. Then named Zacharias. Judith Popinski in Malmö, 2013.